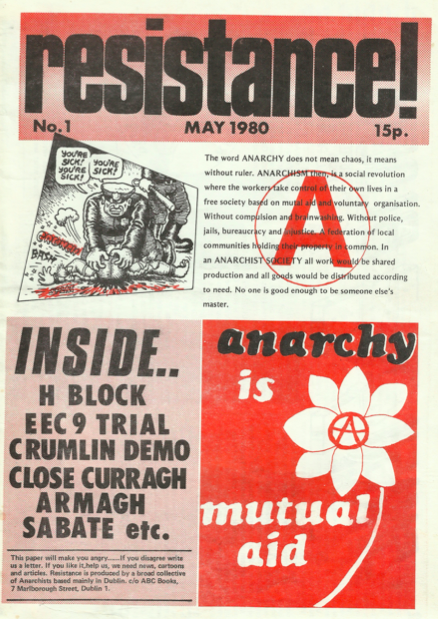 This A5 little magazine appeared in March 1985, published by some ex-members of the Belfast Anarchist Collective. The BAC had disbanded a couple of years previously, seemingly as a result of major political differences but no explanation of these was ever published. 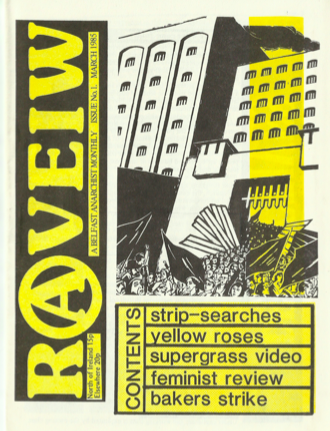 However the Just Books anarchist bookshop on Winetavern Street continued and the R@view group were involved with it. The first article is a ‘who we are and what we want’ introduction. Most striking is their apparent view that the class division in society is just one of several oppressions, rather than the root cause of them all. The magazine “will concern ourselves with three inter-related areas: patriarchy, state repression, capitalism”. They also say that “we see ourselves as fighting alongside the working class”, which might imply that they don’t see themselves as part of the class. Of course it could also be simply a case of clumsy writing. 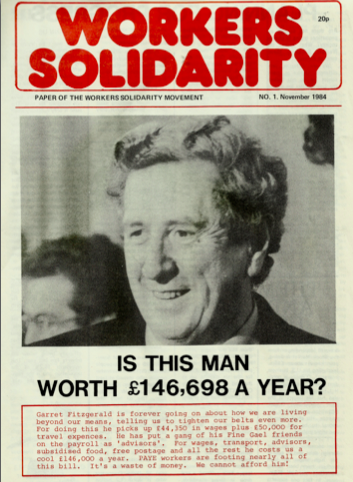 There was only one issue, but Ainriail* began publication later that year. It was in the same format and came from the same people, but with a more developed explanation of their politics. 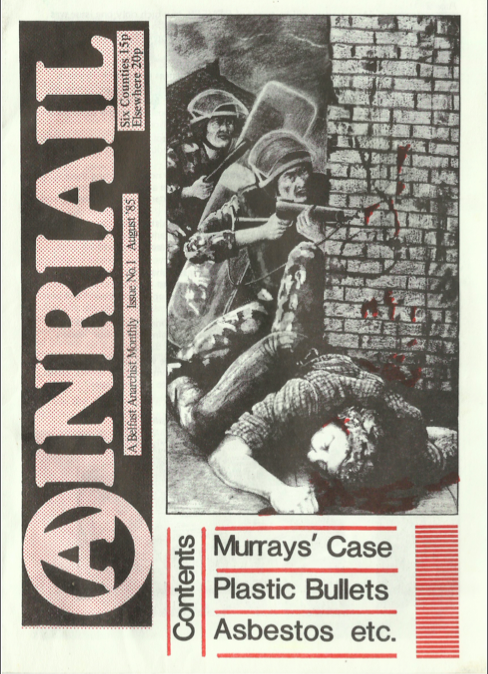 The court case for conjugal rights by Marie and Noel Murray, two anarchists from a small Dublin group composed mainly of ex-republicans, jailed in 1975 after the fatal shooting of a garda during a bank robbery. Union busting at Hyndman’s Bakery in Maghera, and the failure of their union to stand up for its members after they were sacked for going on strike in defence of that same union. 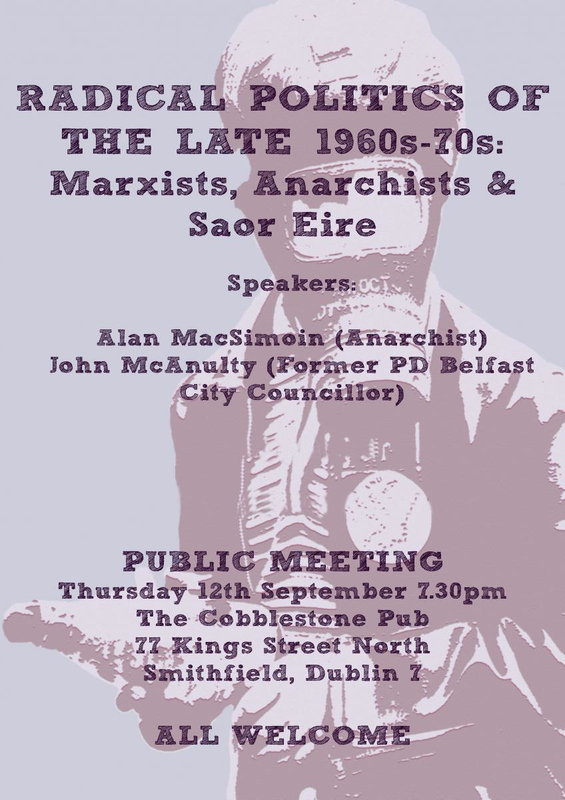 An interview with two anarchists who were part of the group which made a video about the “supergrass” trials. Strip searching of women prisoners in Armagh jail. 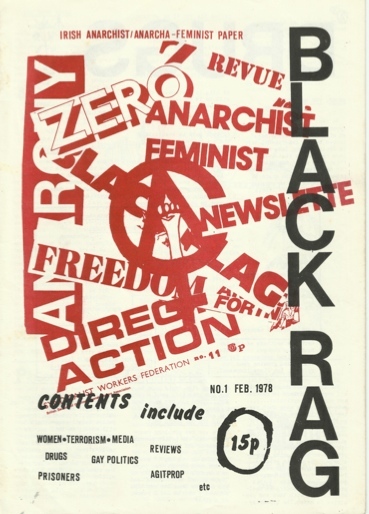 A look at the Irish Feminist Review ’84.